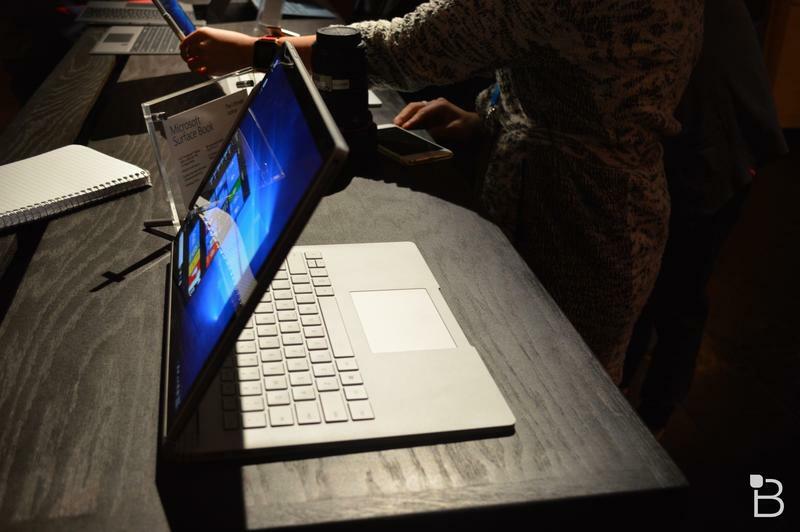 Microsoft’s Surface lineup has been an exciting experiment for what laptops can be, a kind of laptop/tablet hybrid that mutates into different forms. Need a tablet? Just detach the keyboard. Need to get work done? Fire up Office and write your next novel using the clever Type Cover. All these years later, and the Surface Pro is still one of the coolest gadgets around, and the latest upgrade proves that Microsoft is still very much committed to its vision of what the future should be. 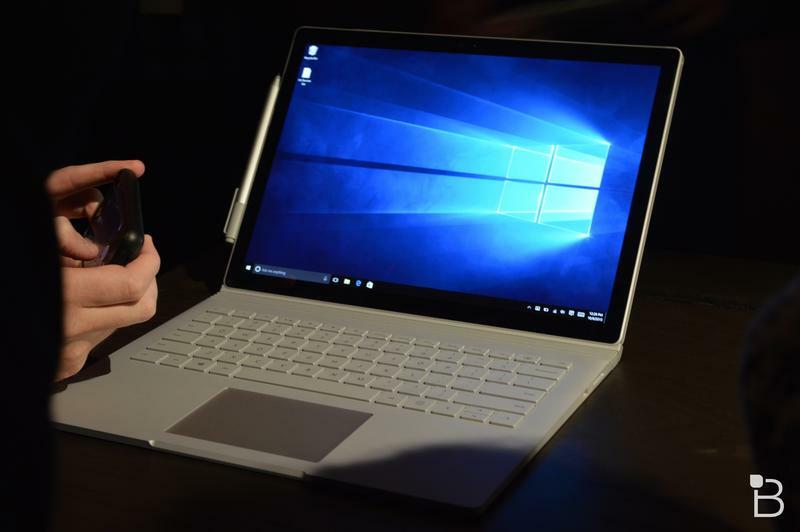 But even the Surface Pro 4 looks pedestrian compared to its new Surface Book, an exciting new laptop that proves the future of laptops is here and now. 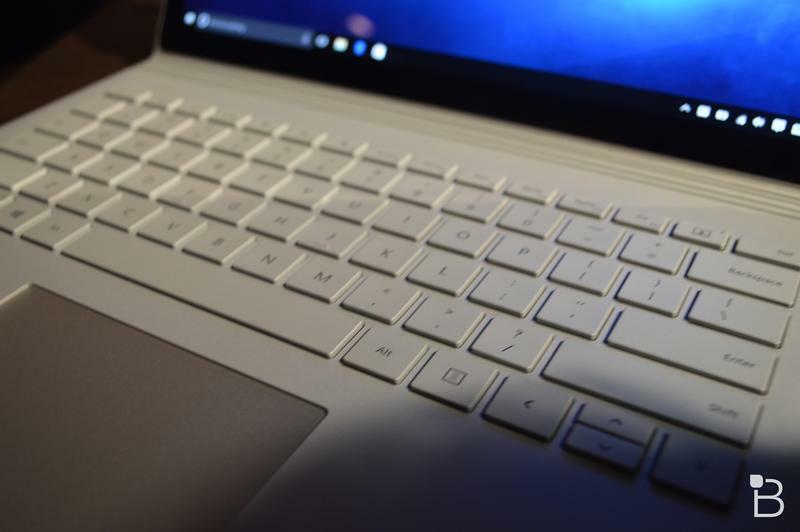 This is Microsoft’s first ever crack at a home-brewed laptop, and damn if the company didn’t knock it out of the park. When’s the last time you were truly this excited to hold a laptop in your lap? This thing makes Apple’s lightweight (and expensive) MacBook look like child’s play. 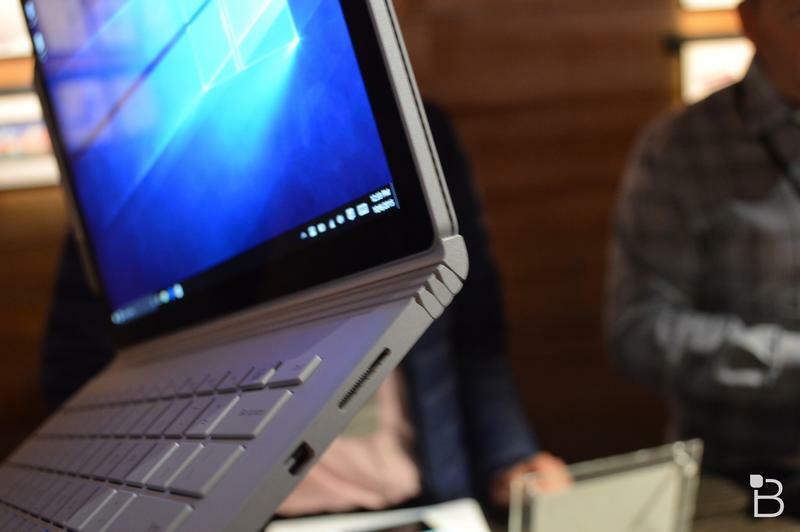 What makes the Surface Book so exciting is that it takes all the best ideas of the past few years and crams them into a single device. 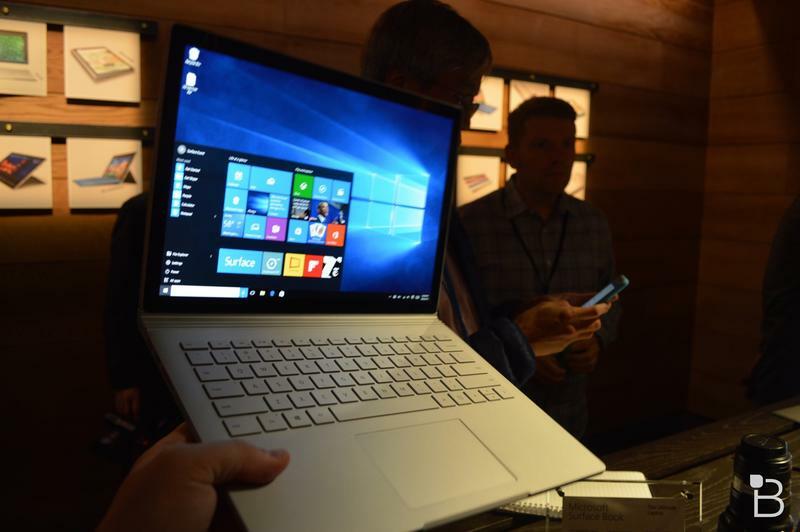 Like the flexibility of Lenovo’s Yoga lineup? That’s here. 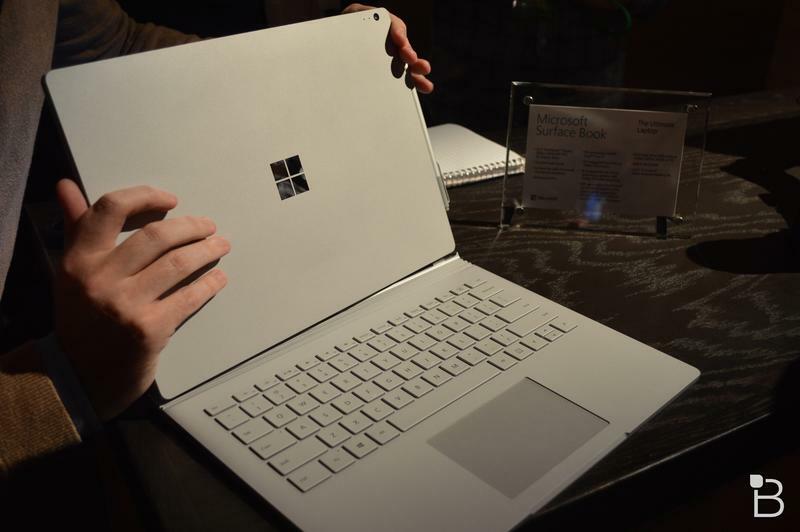 What about the power and design of the Surface Pro? That’s here. And speaking of power, this thing is a beast, equipped with the latest Intel Core processor and NVIDIA GeForce graphics, making it the ultimate workhorse for getting work down on the go. 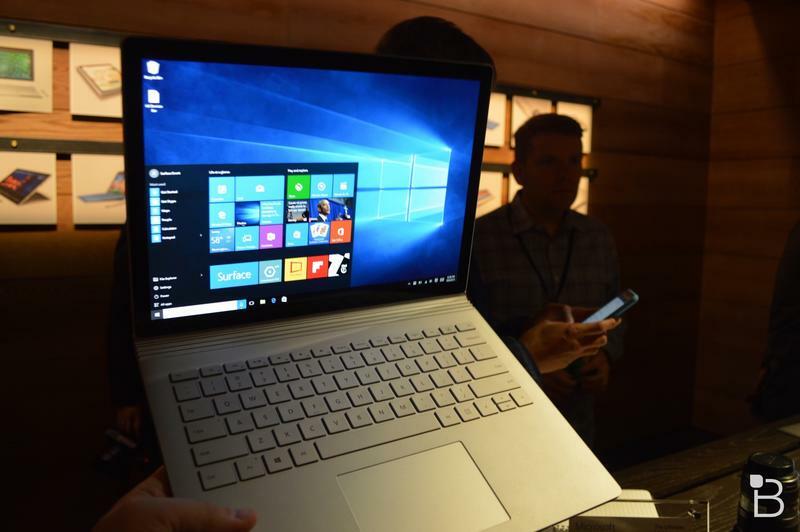 Microsoft has been quietly churning out some of the most innovative designs on the market, and the Surface Book is the culmination of its engineering prowess. Building off what it introduced with the Surface Pro lineup, Microsoft’s first homegrown laptop sticks to the lovely magnesium design and packs a real punch. And that hinge design is something else. 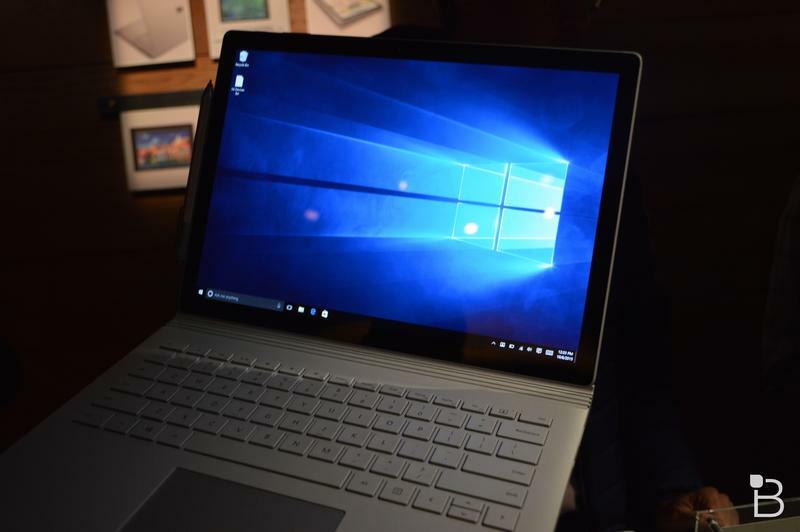 Imbued with all of the best Surface Pro features, the Surface Book takes the laptop/tablet idea and runs with it, packing in a 13.5-inch PixelSense display, touch screen support, and discrete graphics. All of this packed into a body that’s just 3.34 pounds with the keyboard attached; detach the keyboard, and the thing is shockingly light—easy enough to hold with one hands without getting fatigued right away. Just because it looks good doesn’t mean it can’t perform well, too. There are two different configurations: you can go for an Intel Core i5 or i7, both of which come with options for discrete graphics, which will be huge for creatives who needs to edit video on the go. 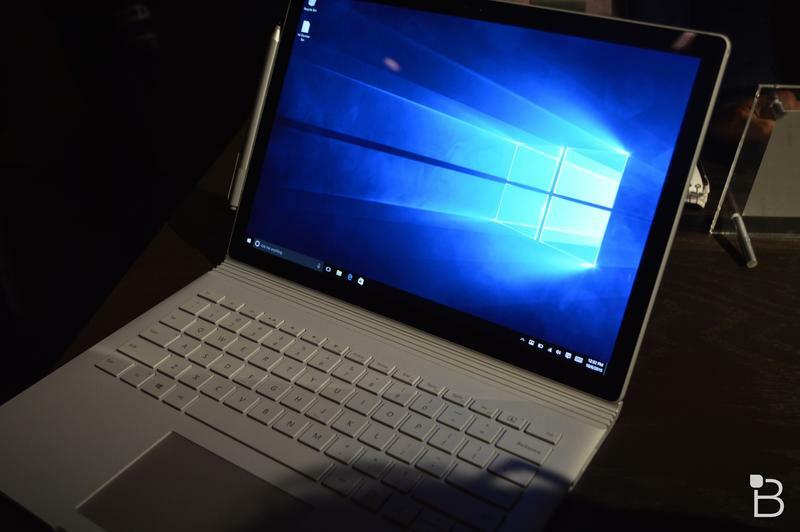 Microsoft actually demonstrated the Surface Book’s capabilities onstage today, and it didn’t miss a beat while running Premier Pro, which is a notoriously GPU-intensive program. 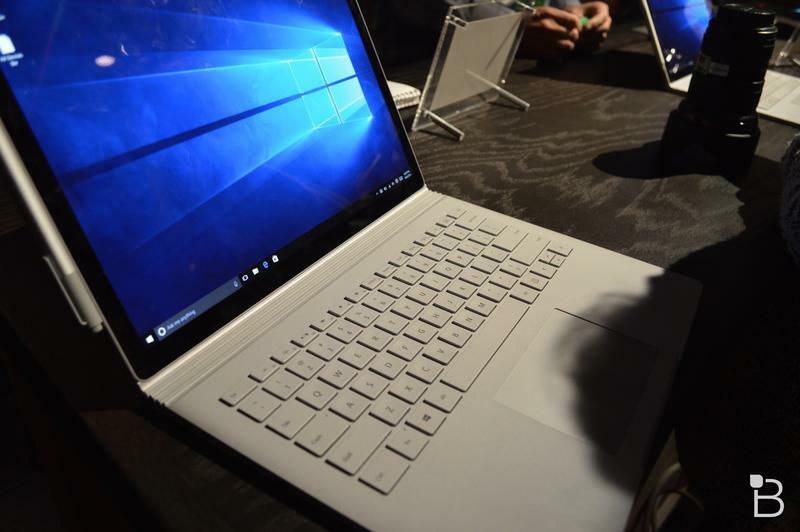 All of this and Microsoft is promising up to 12 hours of battery life. Sounds like the ultimate workhorse to me. The most powerful model with the largest hard drive will bring the price all the way up to $2,700, but it just might be worth it if you do a lot of intensive editing out in the field. We’re already seriously considering one to take with us during major events. 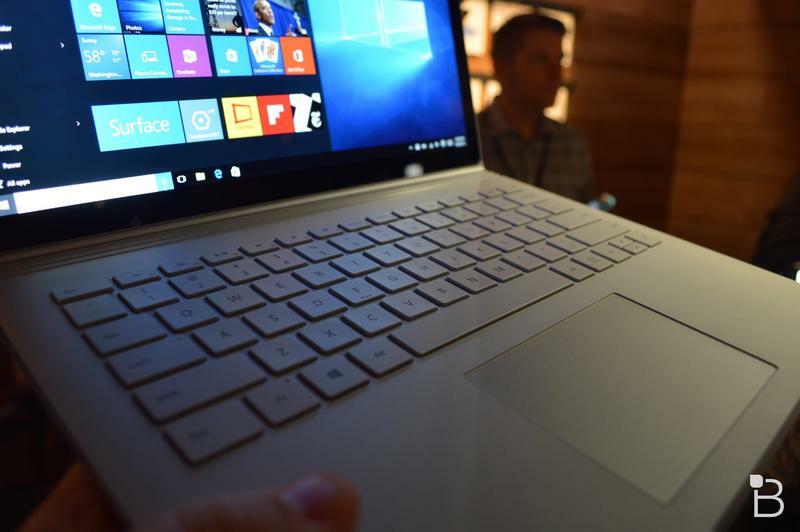 Like Microsoft’s Surface Pro lineup, the Surface Book is prided for its versatility. 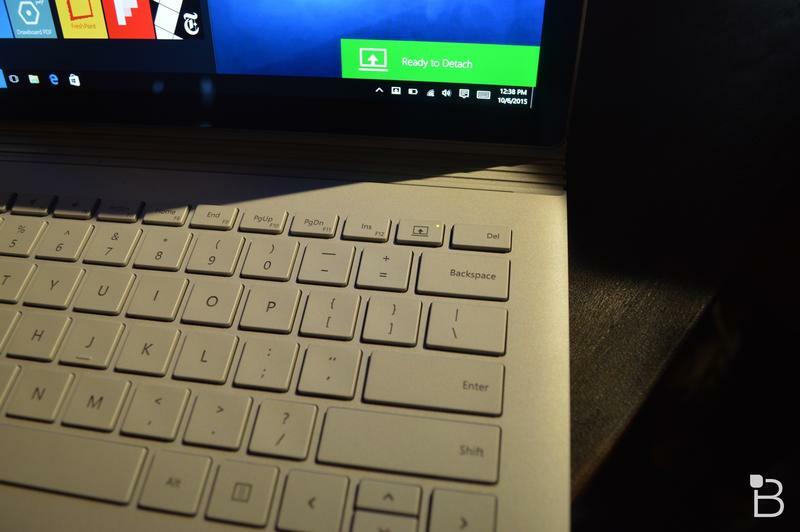 It’s a laptop, a tablet; it can detach from the keyboard; and the hinge design allows users to flip over on itself to act as a notepad. Anything you need it to do, it can do, whether you’re editing video in the field or simply on the couch watching Netflix. 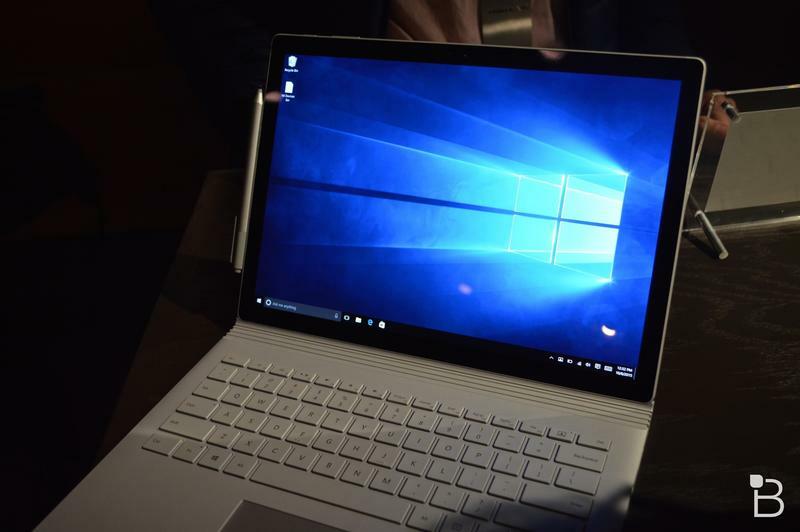 Microsoft says there are three main configurations: laptop, clipboard and creative canvas. 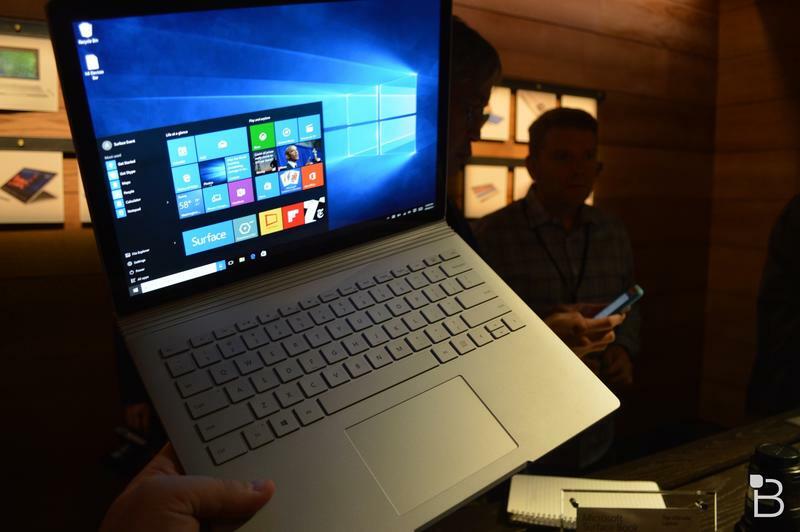 Laptops are only versatile to an extent, but the Surface Book has been designed to cater to every possible need, making it more powerful beyond just mere specs. 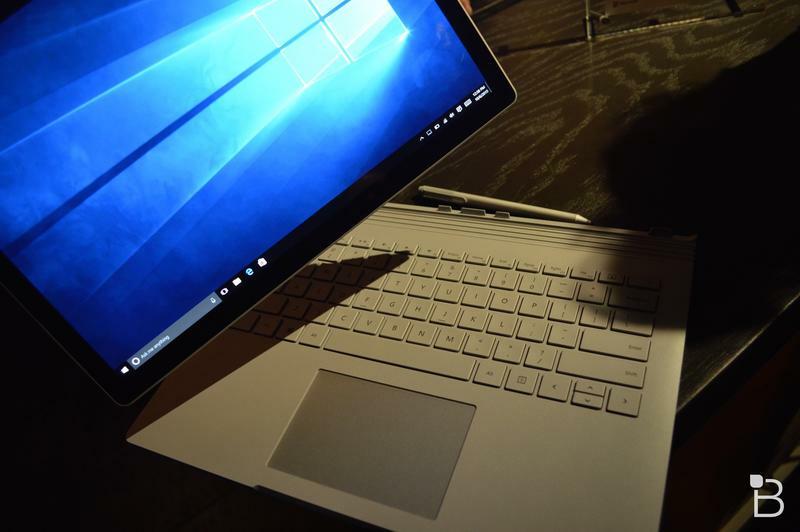 The Surface Book is capable of turning into a tablet because the battery and Intel Core processor are built into the screen. But it’s the keyboard where that high-powered GPU sits. That makes the keyboard an incredibly important part of the experience. 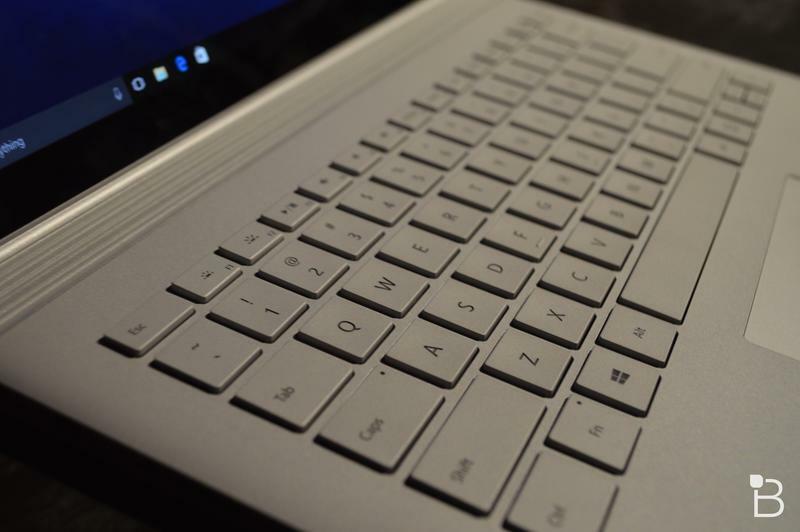 The keyboard itself is a backlit chiclet-style that felt surprisingly good during our brief hands-on time with the device. Oh, and that trackpad is glass, too, and it also supports edge palm rejection, which means it won’t accidentally activate while you’re typing. 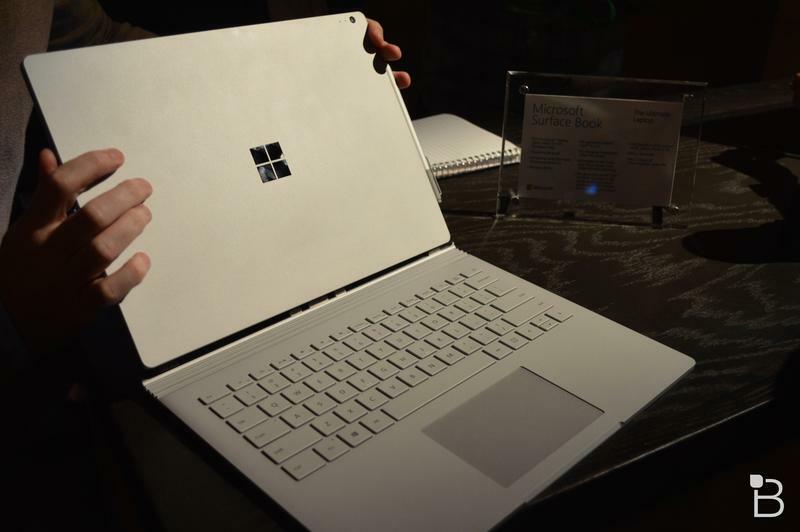 The hinge is what immediately grabbed our attention, and Microsoft was quite obviously proud of the crazy design. Not only does it look completely insane, but it allows the computer to do all sorts of unnatural contortions—sit upright, detach, backflip and more. It’s difficult to describe how the hinge actually looks, so you’ll just have to see it in action in our hands on video. The only problem is that the hinge’s curve makes it impossible to close the laptop all the way, which seems like an odd design oversight. Because it can’t close completely, I’m wondering what will happen when pressure is applied to that point. Microsoft is quite clearly impressed with the hinge, so we trust in the company that it went through the proper R&D to ensure it’s as rock solid as possible. But we’ll keep an eye on it once we get more extended time with the device. 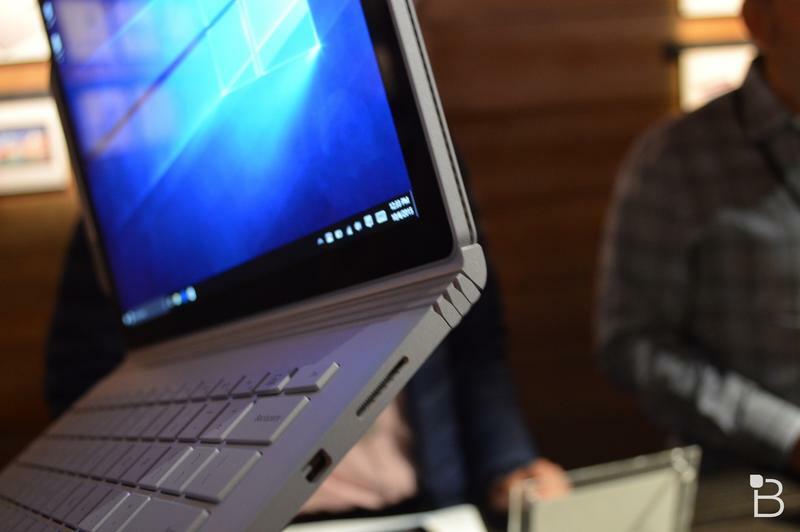 By far the Surface Book was the biggest surprise at Microsoft’s event today, a laptop the company clearly wants to take on devices like the MacBook Air and MacBook Pro. With its services all aligned, and a duo of new handsets coming soon, Microsoft is gearing up to declare war on Apple’s growing presence in the mobile and desktop space, and what better way to make a splash than with a laptop that is both incredibly powerful and beautiful to look at.